In October of 2000, at the age of 29, Charly Caldwell II had the absolute honor of seeing an experiment of his pay off, in dividends. 6 years earlier, after burning out from working long hours, trading time for money, Charly had an epiphany. On October 10, 2000 at around 1pm in the afternoon, Charly sold his first business, which primary profit center was ‘recurring subscription revenue, achieving that dream of “FREEDOM”. For the last 18 years, Charly Caldwell II has had a career of helping individuals, entrepreneurs, small businesses and organizations create their own ‘FREEDOM’ by living purposefully, passionately, positively, productively and profitably through his teaching, online training and coaching business called the Life and Business Success Group, Inc. I'm honored to share that I've had the opportunity to coach with him, and the transformations he have helped me discover in my own life are endless. I have more clarity, confidence, and joy in what I do than I ever have before. 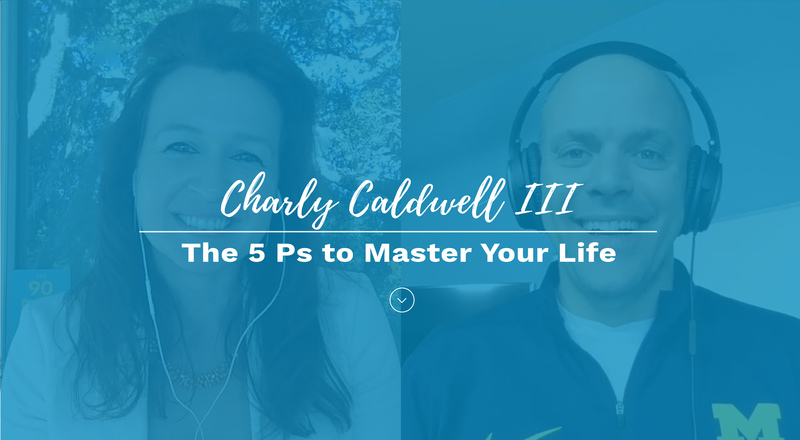 That's why I wanted to interview, Charly Caldwell II, Founder of the Life and Business Success Group, to talk about how to master your life in all arenas. How you can use a tipping point to wake up and create a new direction in life. Why you shouldn't settle for the life you have, because success does not necessarily lead to happiness. The 5 Ps you need to master your life. How to grow in all areas of your life at once, rather than compartmentalize your life, so there is a synergy in everything you do. For the last 26 years, Charly and his Internet team have had the blessing of helping hundreds of entrepreneurs, small and medium businesses create, build and maintain a ‘Healthy Online Presence’ through Online Development and Marketing through his business called Internet Services Group of Florida, LLC. Charly Caldwell II is also an international Certified High Performance Coach™, with over 3,000 high performance coaching sessions under his belt, helping hundreds of people from all around the world discover, and then consistently live into, the very best versions of themselves. If you’re looking to assess how you’re doing in life, in business or online, take a few minutes and enjoy one of all of the following: "My Life Assessment," "My Business Assessment," or "My Internet Assessment" — Charly promises you’ll be happy you did! Charly believes his amazing girls, Paige and Josie, are the only real legacy he’ll leave on this beautiful planet, and he lives and believes in “Family First”. Outside of helping the world get more masterful in Life, in Business, and Online — you’ll commonly find him playing tennis, at the beach, running, walking in the park, and traveling the world — living a life of experience, not stuff.